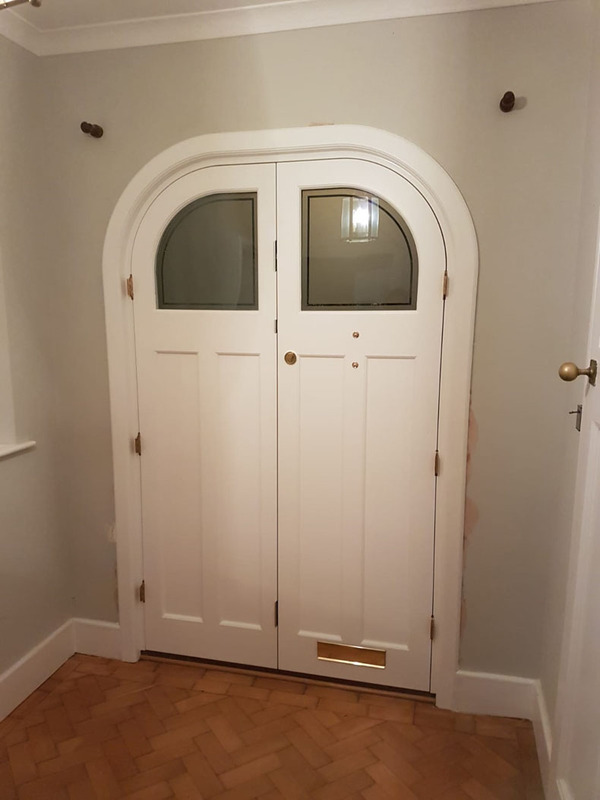 Considering a bespoke front door? Take a look at these images from a recent installation in Bromley, South London. The Spittlywood team create bespoke wooden doors of all styles in a variety of woods. In this example, we used the chemically treated wood Accoya, which is our first point of call when creating external installations, Accoya is a modified wood which performs particularly well when painted this along with the fact all Spittlywood Accoya installations come with a 50-year manufacturer backed warranty make Accoya an excellent and long lasting choice for our customers. As official Accoya partners, we’re able to provide our customers with the full fifty-year guarantee although slightly dearer than traditional hardwoods Accoya more than makes up for the additional cost due to its long lifespan regarding value this wood is at the top of the pile. 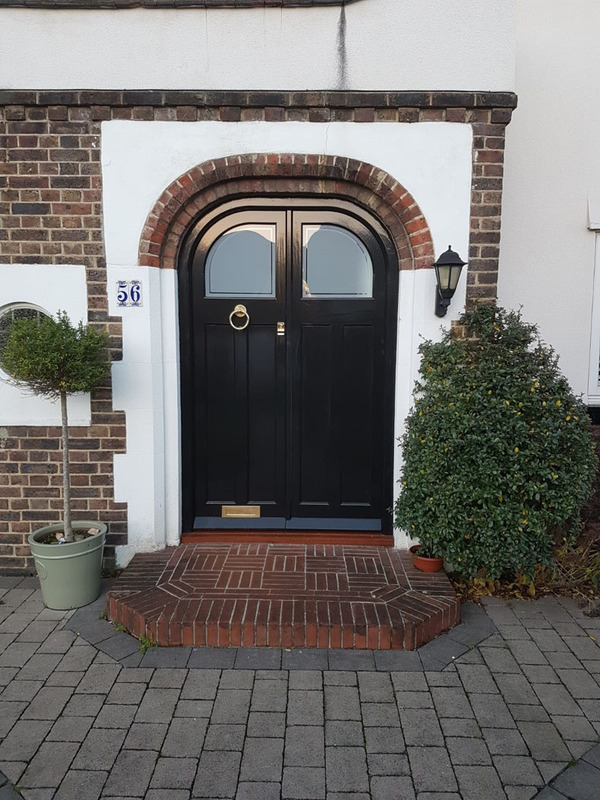 This rounded top double entrance door is factory spray painted and features an external gloss black finish, internally our customer decided on gloss white again a factory spray paint. 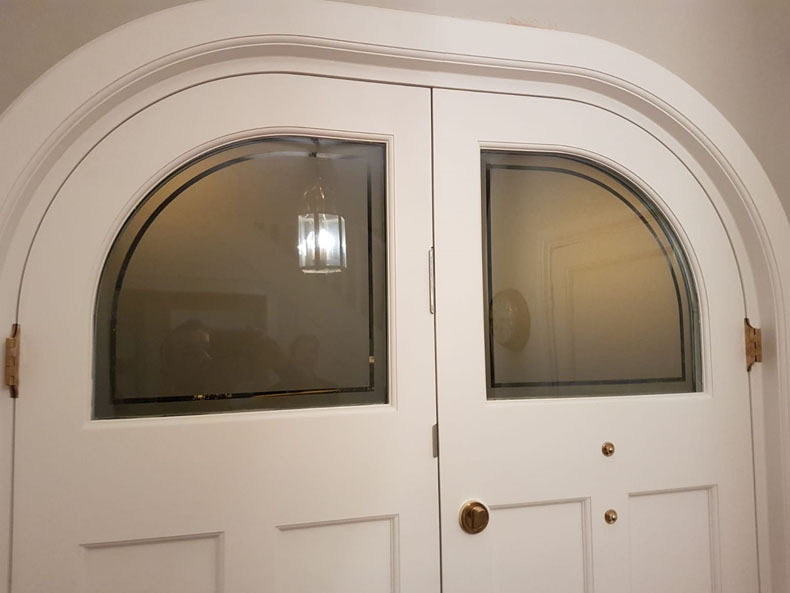 The double glazed etched glass not only looks great and also conforms to all relevant energy efficiency and British safety standards. 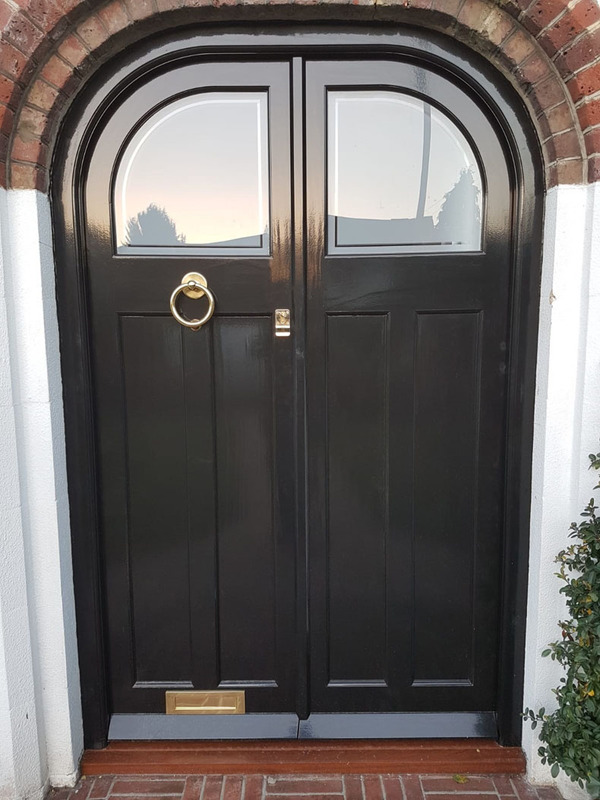 This door is also big on security with the addition of multi-point locks, Should you be considering bespoke doors and are based in Bromley or the South London area feel free to get in touch.